Today’s chocolaty surprise is a bonus round for this month’s Food ‘n Flix! Heather from Girlichef is hosting the special 5 year Anniversary of the club, and we can choose any of the previous movies and make something from them! I mentioned in my previous post that I wanted to watch Chocolat, but sentiment won me over and I watched How to Lose a Guy in 10 Daysinstead. But at Heather’s encouragement, I watched Chocolat and here I am again! I loved Chocolat! It was a sweet, light hearted story. Yes, there were struggles, but they were brilliantly portrayed. Plus there is a pre-Pirates of the Caribbean Jonny Depp…kinda playing a pirate. Go figure! 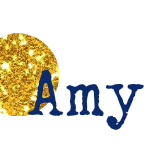 In the movie, Vianne blusters into a small town and opens a chocolate shop - during Lent – when most of the very devout townspeople have given up sweets. Yet her infectious personality and delicious confections slowly win people over. I decided to dip some peppers for this challenge, because single jalapeño plant in my garden was incredibly abundant this year (I picked over 30 peppers from 1 plant!) And though Vianne didn’t spike her chocolate with booze, I thought, why not live a little? These peppers are the perfect balance of spicy and sweet with just a little kick from the tequila! They’re perfect with a cup of hot cocoa or maybe even with these Tequila Shot Cupcakes! Heat the cream until steaming. Pour over 2 tablespoons of chocolate chips. Allow the mixture to sit for 3 minutes, then stir until smooth. Stir in the tequila. Cover and place the ganache into the refrigerator for 15 minutes to thicken. Meanwhile, wash the peppers. Carefully make 2 cuts at the tip of the jalapeño, cutting about half way down. Carefully remove the ribs and seeds (or leave them for an extra spicy kick). Once the ganache is set, place it into a piping bag or zipper bag and seal. Cut a small bit off the tip (or a corner of the bag). Insert into the cut end of the jalapeños and fill with ganache. Press the cut ends together to hold the ganache in place. Place in the refrigerator for a few minutes. Melt the remaining chocolate. 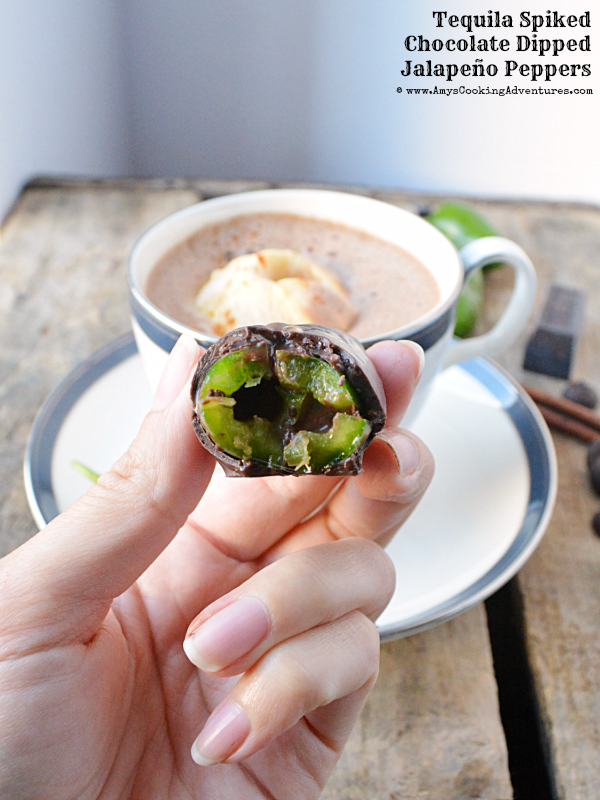 Carefully dip the filled jalapeños in the melted chocolate, taking care to entirely cover the cut ends. Refrigerate until the chocolate is hardened and serve. I was wondering if you seeded these first. I think I would love these....Frank...probably not. Ha! What a genius idea! I would love to try one. When I first read your title, I thought you had filled the peppers with tequila! Lady, where have you been all my life? I have to add this to my Christmas gathering! I watched Chocolat, too. I wanted to shake that priest out of his placidity but I do understand his youth, and in the end, he came through! LOVE the children in the movie, too. Such a great moive, have seen it a few times. 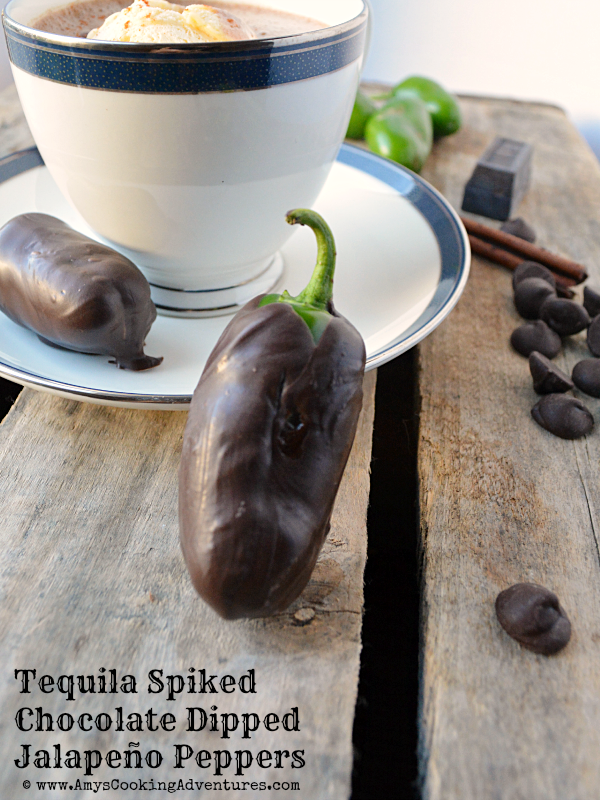 And what an inspired recipe, choc dipper jalapenos? Love the touch of tequila! Wow! These are so fun. I especially love the spiked ganache inside--perfect. I almost went back to Chocolat this month because it is such a favorite of mine. I should have planned ahead and done two films too. Great job! That is one of my favorite movies. <3 I need to make these! Love the idea! I could 'maybe' do these if I removed the seeds. Maybe. Chocolat was a good movie. Great choice.